Not so long ago, a doctor at AIIMS committed suicide because of constant mental torture by her gay husband. Every day, overbearing parents force children to marry people who are not right for them, only to continue their family lineage or as a prosperous alliance between two families. One such case has been unearthed by DNA. Former BCCI chief N Srinivasan has allegedly been forcing his son to marry a woman to continue the family lineage, all the while knowing that his son is gay. On May 21 2012, DNA published a report highlighting how Srinivasan unleashed a cycle of violence against his son, Ashwin and his partner Avi Mukherjee. Ashwin told DNA that he and his partner have been sent to Chennai and are being held captive there. This happened after he spoke of his brother-in-law’s alleged connections with bookies in Chennai and Dubai. They are being held in the Boat Club neighbourhood near his father’s residence. 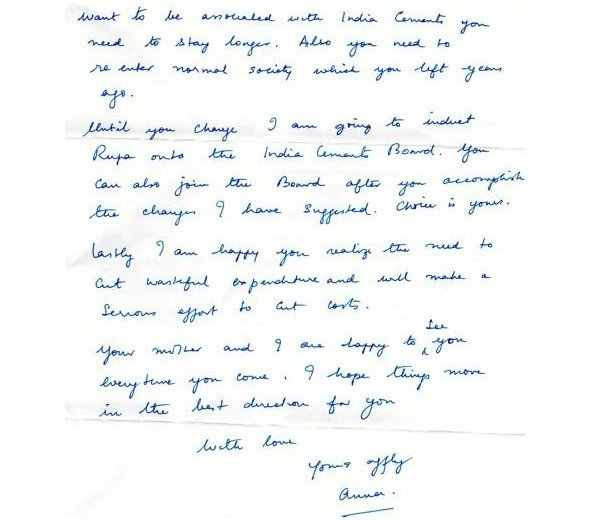 The letters – all written on Srinivasan’s personal stationary – between 2007 and 2008 bring up some of the points Ashwin mentions. 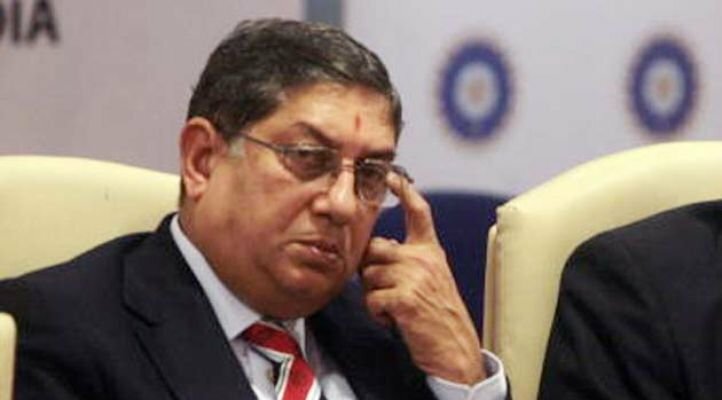 He wants Ashwin to give up the lifestyle he is currently living if he wants to have anything to do with India Cements. Srinivasan claims Ashwin needs to re-enter ‘normal society’ before he can offer him a place on the board. Until then, the position will be going to his daughter Rupa. In another letter Srinivasan comments on Ashwin’s frivolous spending and suggests he gets a grip on his expenses. However, Ashwin was not swayed by his father’s requests. 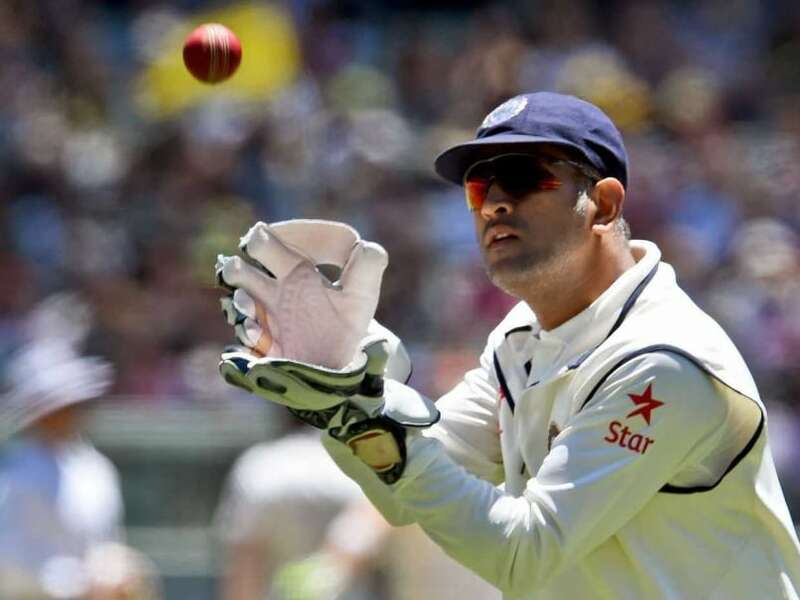 He wrote back to Srinivasan thwarting his efforts to smooth things over. 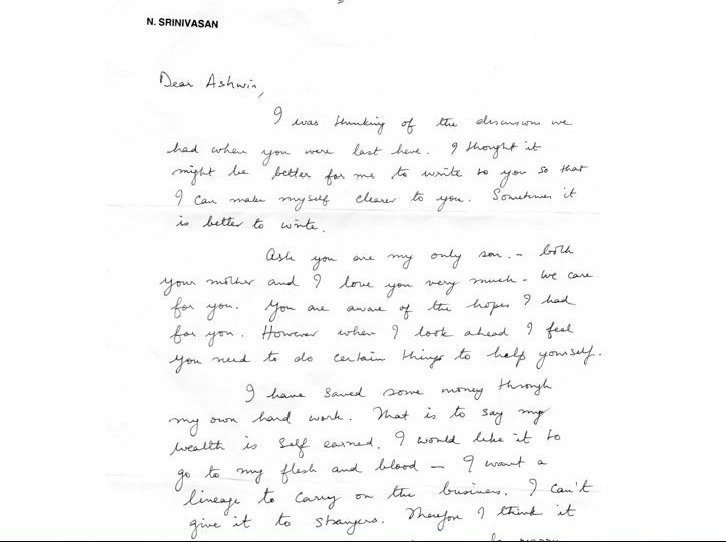 Deeply stung by this betrayal, the father wrote a heated letter to Ashwin, targeting Avi Mukherjee. Things have not changed over the years. 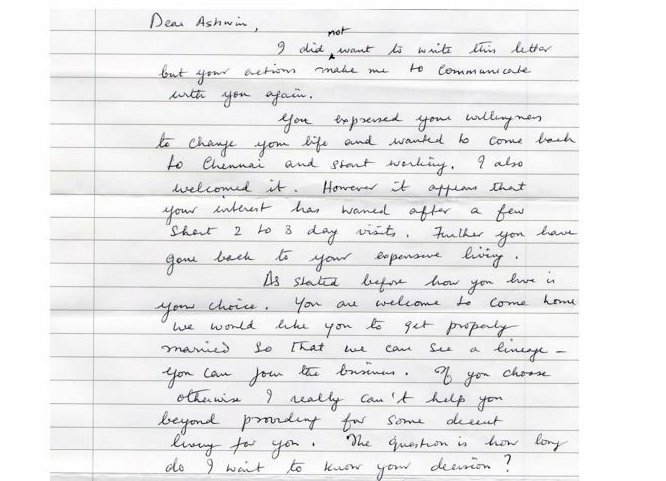 Ashwin insists his father is still obsessed with this, and the letters have now changed to violence and threats. The father-son duo have in the past had a number of public brawls over similar matters. Ashwin has publicly declared that his father used his former status as an NRI to launder money, “illegally robbing the exchequer of crores”, as reported on Sify. Anti-gay laws in India will never change, unless anti-gay sentiments in families and societies are altered.